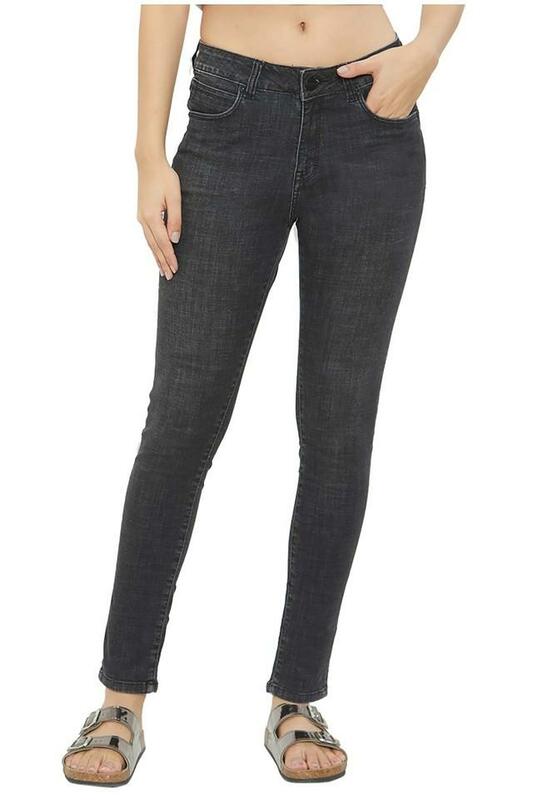 Make an exciting choice for a casual outing with this pair of jeans from Soie. It has a rinse wash finish along with a skinny fit that lends it a trendy appeal. Besides, it has been tailored using cotton fabric that ensures easy maintenance.